MAE SAI, THAILAND - His fields are submerged and his ducks nearly wiped out by water being frantically pumped from the cave that holds captive 12 boys and their football coach, but Thai farmer Lek is delighted to help the rescue bid. 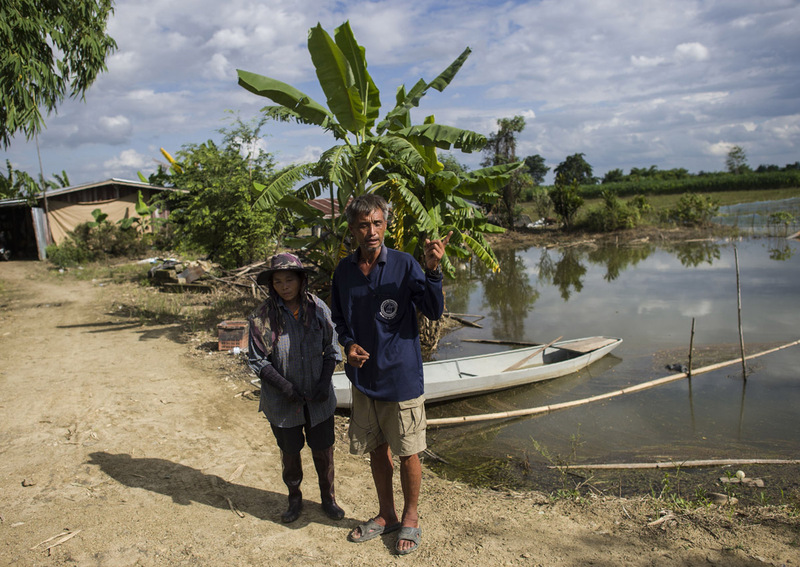 Standing near his ruined land, Lek Lapdaungpoin says he is proud of his small but significant contribution to battling the rescue operation's main enemy - water. "With the farming, we can make money again. But 13 lives are not something we can create," he said, estimating that five districts and hundreds of acres had been damaged in the lowlands around the Tham Luang cave complex. Flooding is seasonal in Thailand, but for many in the vicinity of the cave the scale is sudden and massive. Water inside the cave has blocked the boys' escape route. Nineteen high-powered pumps are in place to reduce the water level, which has come down by 1cm each hour. "The problem is there is not enough power if we are running many pumps at the same time," said Thai fireman Poonshak Wonjsangiam. Still authorities say more than 128 million litres of water have been sucked out of the 10km-long cave in northern Thailand, enough to fill 50 Olympic-sized swimming pools. Mountainside creeks have also been diverted in the hope of limiting water run-off into the cave where the boys have languished since June 23. The excess water has been funnelled onto nearby fields, streams and hastily dug underground wells. A break in rain that has held since Tuesday brought levels down, but not enough for easy passage between a key chamber separating rescuers from the muddy embankment where the boys and coach are sheltering, water lapping at the edge. "There is so much (water)," said Shigeki Miyake, of the Japan International Cooperation Agency in Thailand, who is assisting with draining. "No-one can calculate it." He is among scores of experts in diving, caving, drilling and emergency response from all over the world who have converged on the Tham Luang cave. The mountain which harbours Tham Laung now looks like it is undergoing surgery as long tubes run from the cave down its slopes, gushing water around the clock. That has turned the area near the cave entrance into a quagmire of thick mud. Farmer Lek is one of many unsung heroes pitching into the rescue as volunteers offering their time and services have arrived at the crowded site. Nearly 50 acres of Lek's land has been inundated and he says 100 free-ranging ducks have perished or gone missing since their food source in the fields was flooded. "But we don't think about the damage," his wife Koung said. It is a reflection of the can-do attitude that has gripped Thailand since the boys went missing, a spirit of "dedication and sacrifice" applauded Thursday (July 5) by Thailand's King Maha Vajiralongkorn in a rare letter directed to the nation. But some of the well-meaning efforts have backfired. Chiang Rai governor Narongsak Osotthanakorn said Thursday some unregistered volunteers accidentally pumped water back in the direction of the cave. Rescuers are also trying to find entrances through drilled passageways in the limestone rock above. But they are working against the clock. The water levels in the cave lowered to waist levels in some parts thanks to near-perfect weather, but the forecast is for the monsoon rains to return on Friday.